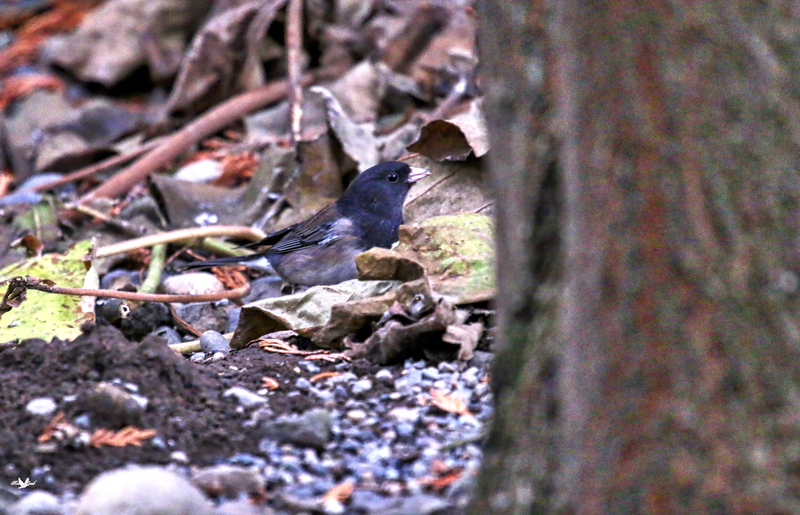 A Dark-eyed Junco kicking around in the leaf litter. A thing they seem to like to do! This entry was posted on 2015/10/27 by Robin. It was filed under Birds and was tagged with Aldergrove, B.C., Backyard, Dark-eyed Junco. These little birds can be very active among the leaves,kicking and scratching. Ruth, thanks! They certainly don’t stay in one spot for long! What a lovely bird, great shot Robin.